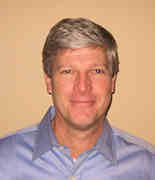 Speaker: Bob French, Sales Executive Power Systems & Storage, Dynamix Group, Inc. The data in our servers is valuable. To protect it (from ourselves and others) we make copies. As data size has ballooned, tape drive vendors have done well in providing attractive options for offline storage. Improvements in media standards has allowed more data to be packed onto each tape as drive prices have trended downward. Your next tape drive might not be tape drive. Come to this session to find out how IBM is working to implement the ProtecTier Virtual Tape Library system for use with the IBM i. Be able to identify the functional parts that make up a tapeless backup system. Learn how data deduplication allows you to save everything (without saving everything).